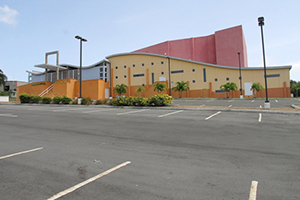 NIA CHARLESTOWN NEVIS (January 30, 2015) –The public is hereby notified that the Nevis Performing Arts Centre’s (NEPAC) dance production “Synergy” scheduled for February 6th and 7th, 2015, at the Herald Sutton Auditorium has been postponed. The postponement is due to unavoidable technical difficulties. However, the public is asked to note that a new date for the production will be announced via local media. The Management and Staff of the Centre deeply regret any inconvenience the postponement may cause.